As seen in the Sailor Moon S Movie. 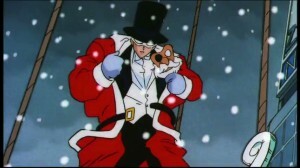 This entry was posted in Sailor Moon Anime (1992) and tagged Christmas, Sailor Moon S The Movie, Santa Claus, Tuxedo Mask by Adam. Bookmark the permalink.